Whether you’re just starting out in business and only have a few clients or you’ve just celebrated reaching the $20 million mark, saying thank you to customers is a vital task. You can not assume that because someone is working with you that he knows you appreciate his business. Before they even ask, “how much does it cost to say thank you to a client,” I often hear business people say they can’t afford it. There are really two parts to the answer of how much you should spend on saying thank you to clients. First, you need to know how much a client is worth to you. In some businesses, a client may be worth $100 a year. In other businesses, one client could be worth $50,000 in the same time frame. A key point is that in either situation, a client could be worth even more, could send even more business your way, if you make the time and effort to show your appreciation. Say you sell a $100 study guide that people buy one time. You might think it’s a waste of money to spend anything on saying thank you to the customer, since it’s not likely she’ll buy another. However, investing just $1.00 in a note card, $0.46 in a stamp and a few minutes to handwrite a thank you could inspire the recipient to tell a friend about your guide. Once you get a referral, now your small investment in appreciation is worth an additional $100. 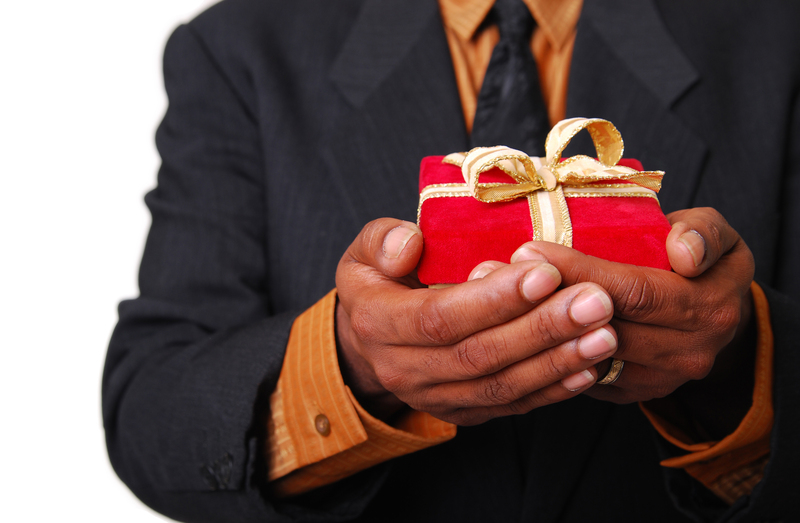 For higher value customers, you may choose to invest more in saying thank you. Your plan may include sending a different $30 gift every other month. Or sending a $200 gift once a year in honor of the first day of summer. It’s your business, you get to decide what makes sense for you. The point is, by employing client appreciation as a marketing tool, you’re increasing the likelihood your customer will send you more business herself, as well as improving the odds you’ll get referral business from her. The second part of the answer to how much does it cost to say thank you to clients is found in another question. How much will it cost you to NOT say thank you? What is the value of the business you will lose – and not even know about! – by not showing appreciation. If you forgo investing $45 in a thank you gift to strengthen the relationship with your client and that client leaves when your competitor comes calling, how much has that cost you? All selling, whether selling business to business or business to consumer, is people to people. And people like to feel important and special. By letting clients know you value their business and your relationship with them is valuable, you are making them feel good. You WILL be rewarded for doing so, both karmically and financially. The quick answer to the question is, it depends. Make your decision of how much to spend on saying thank you to a client based on factors relevant to your specific business, How much a client is worth? How much does it cost to get a client in the first place? How competitive is your industry? September is a great time to say thank you to customers. Unlike in December and even November, you clients are not inundated with cards, gift baskets and goodies this month. That means your goodwill gesture will stand out, make a bigger impression and create more buzz. There are plenty of special holidays or reasons to show appreciation and say thanks for business this month. September is Apple Month, Fall Hat Month, Honey Month, Self Improvement Month, Skin Care Awareness Month, Guide Dog Month, National Preparedness Month. 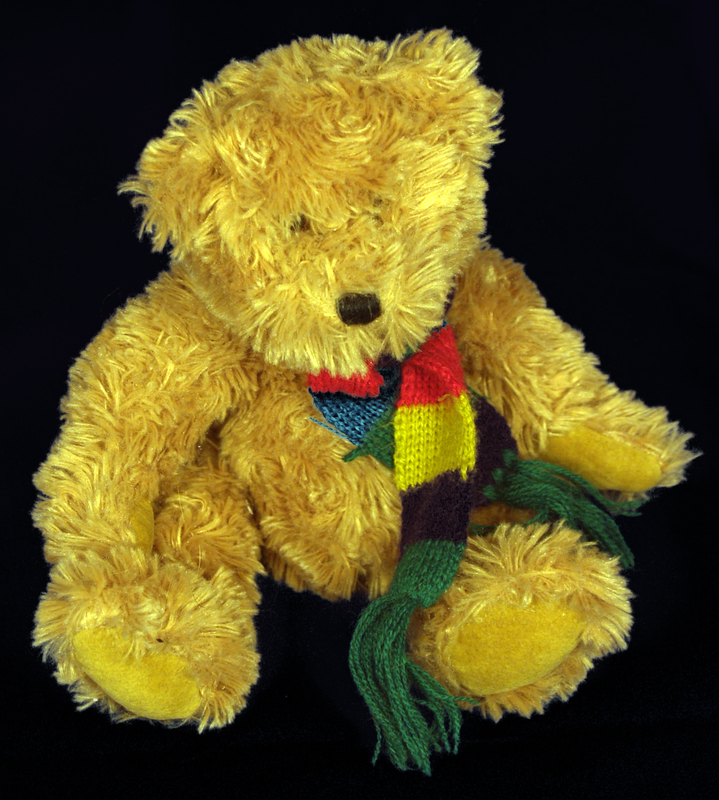 Teddy Bear Day – who doesn’t love a cute Teddy Bear? Play Doh Day – send a mini jar of this childhood favorite. Who’s not going to play with it?! Most appropriately, September 27 is National Thank You Day. Pick one of these fun holidays and use it as a reason to send your customers a note or gift. Remember, if you improve your customer retention rate by just 5%, you can expect to see an increase in profits of 25-100%. Seems like a worthwhile investment to me. Need help coming up with creative gift ideas to reward loyal customers? Reach me at lori @ zenrabbit.com and let’s brainstorm. Right on is what I said when I saw this article posted by Fortune magazine on CNNMoney. It’s always a good thing when people are talking about the importance of gratitude in business, even if they’re not quoting me. Ha ha. In fact, two of the people they did quote, Kristina Bouweiri/Reston Limousine and Heidi Kallett/The Dandelion Patch, are strong business women in my local circle of contacts. How cool is that?! The article totally supports what Zen Rabbit is all about – building appreciation into a business’ daily and weekly plans and strategies and doing it year-round instead of just for the December holidays. Of course these business people are seeing benefits to this approach in terms of more engaged workers and more loyal customers.